Today we bring you this official report and update on the worker proposal now in operation, and present the public status monitoring dashboard. (see original worker doc). 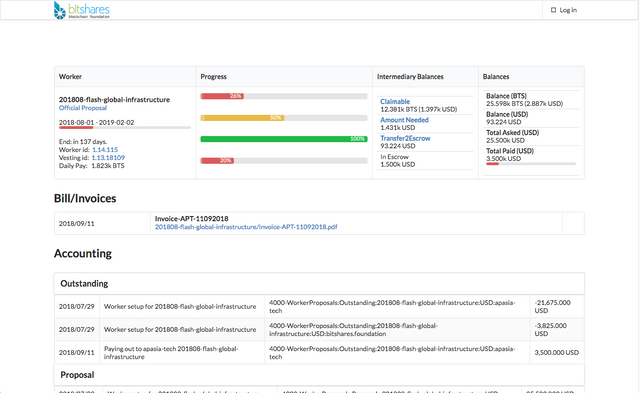 Below is the full list of provisioned nodes with status, along with a quick summary of the work undertaken, including scripts published on GitHub, the node monitoring and reports page, a consolidation of hosting providers, and more. 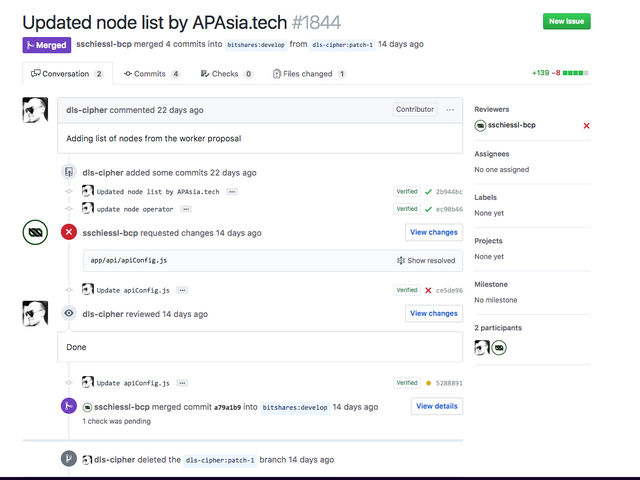 Currently status200.bitshares.apasia.tech is the biggest node with the largest bandwidth package. 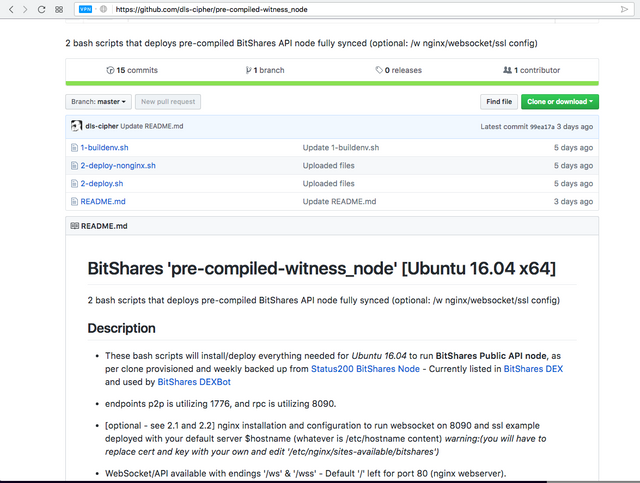 We are using that node with automatic backup script to stop one time a week, then collect fresh backups of ‘witness_node’ directory with fully synced blockchain and latest release software, using simple .sh scripts to provision that node to others. More nodes are listed on the status page, since we add them as we provision them, to keep better track of hours towards invoicing. 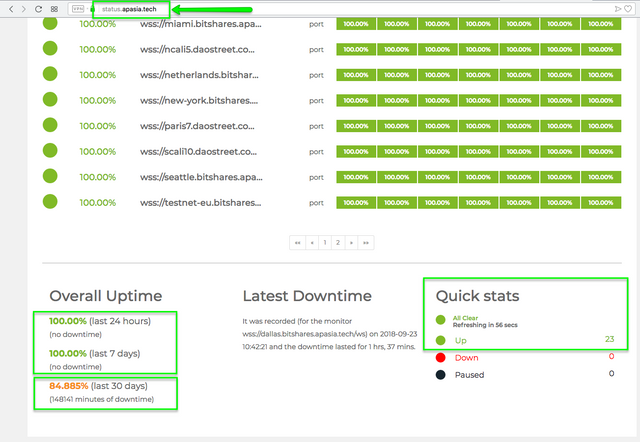 Reports are now having 100% uptime for 23 nodes in past 7 days, and the 75% SLA (uptime of ALL nodes) in past 30 days exceeds target at the time of writing. 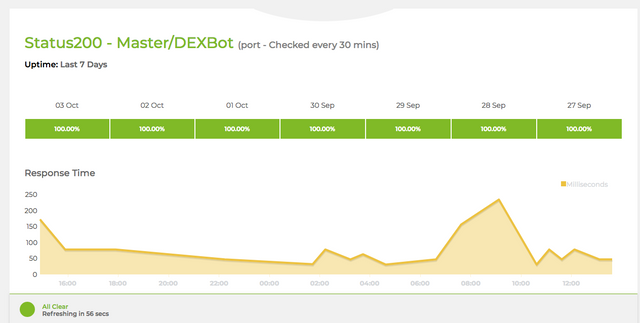 Select a node to view a report as shown in previous screen. Here we see the all clear! 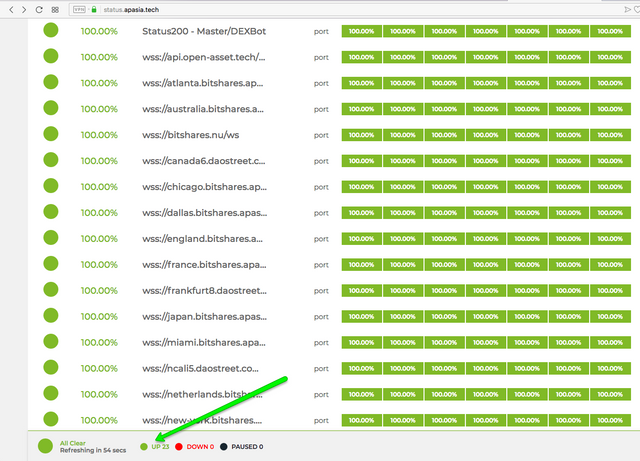 We have decommissioned AWS nodes (most of the daostreet instances) in order to cut cost with AWS of 1800-2000$ a month for just 9 VPS instances. These have been consolidated to our value-added hosting provider instead. Escrow partner is invoiced for 1-time setup (reimbursement fees), while on-going invoices (cost of the nodes) will be delivered by 20th September. For any questions please reply to the bitsharestalk.org thread or find us on Telegram. NOTICE: If Dallas/testnet node shows strange behavior please report it asap. Those 2 are sitting on one instance currently running multi-websocket with multi-domain NGINX configuration.